This Friday join bicycle riders from 'Team Meijer' with Make-A-Wish for a family fun evening in Charlotte. CHARLOTTE, Mich. — This Friday join bicycle riders from 'Team Meijer' with Make-A-Wish for a family fun evening in Charlotte. 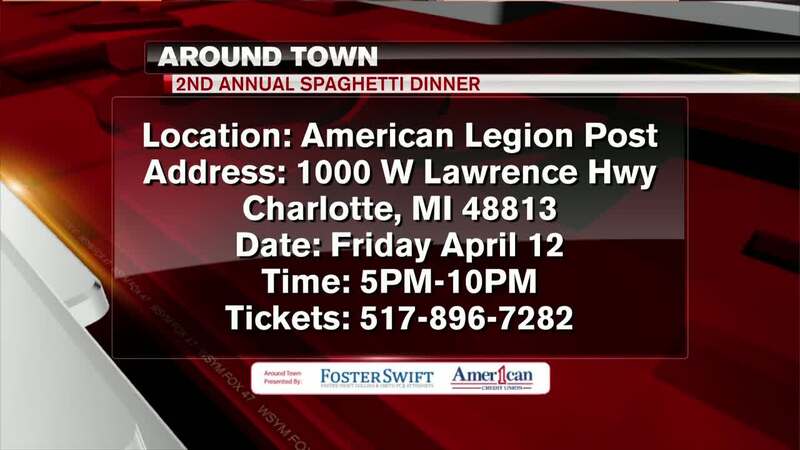 The night's festivities include live bands, Raggle Basket, kids activities and an all-you-can-eat spaghetti dinner. Advance tickets are $10 or $15 at the door. For tickets you can call the number on your screen.